As director of conservation at Winterthur Museum, I have had one of the best jobs in the world. Every day I visit the conservation labs at Winterthur, where a remarkable staff and twenty graduate students in art conservation work to preserve our collections. As I move toward retirement, I am sometimes asked to name my favorite or most important projects as library conservator. There certainly were a few standouts during the years I spent at the Conservation Center for Art and Historic Artifacts, including a draft of the Declaration of Independence in Thomas Jefferson’s hand and both American copies of the Treaty of Paris, which ended the Revolutionary War when it was signed in1783. During World War II, the Treaty of Paris travelled on the Freedom Train where it suffered considerable damage, but it helped sell war bonds. A particularly challenging project involved the document that detailed the accounts of the Curtis Estate that George Washington managed. After being buried during the Civil War, it was encapsulated in unstable plastic to stabilize the severe mold damage. And then there were the Geniza fragments, a collection on paper, parchment, and papyrus found in a Cairo synagogue that recorded sacred and secular life in the Jewish community more than 1,000 years ago and were nearly lost in a fire at a university library. Since my specialty and primary research interest became architectural drawings, I have worked on many, from ambitious renderings to modest blueprints. Thomas U. Walter’s renderings for the US Capitol were remarkable exercises in clarity and technique, with watercolor washes that glowed through layers of grime and stains acquired in a Colorado attic. I also loved Paul Cret’s delicate sketches for the Rodin Museum executed in pencil on tracing paper and glued to a brittle, acidic backing. 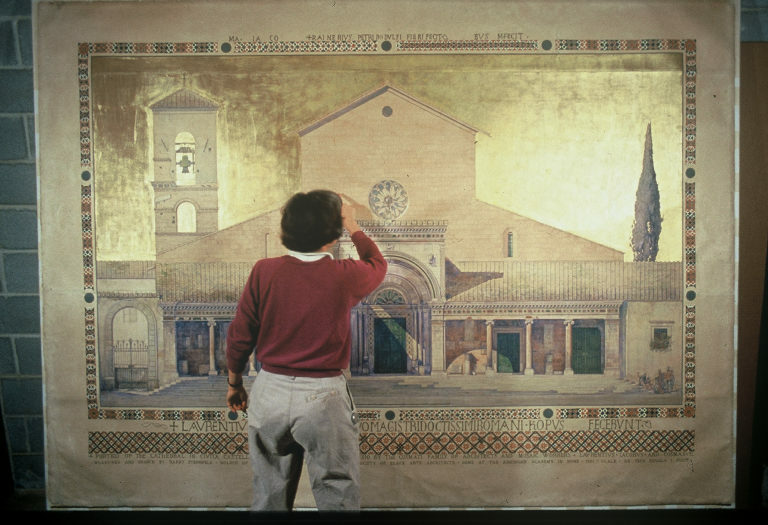 But Harry Sternfeld’s bravura 8 x 10-foot drawing of the Portico of Civita Castellana with its gilded sky and sophisticated watercolor rendering amazing mosaic work may be the most memorable. It is the largest object I have worked on except for the flaking French scenic wallpaper depicting the Voyage of Telemachus in the front hall of The Hermitage, Andrew Jackson’s home in Nashville. So these are the big names that many will recognize—and there were many more—but in some ways they were not the most important. The value of conservation work is often preserving the aggregate–the multiple scraps of correspondence, technical manuals and design books, invoices, account books, trade catalogues, sample books, and printed ephemera that provide the raw material of scholarship that helps us better understand our past and how it shapes our perceptions of the present. Many examples are interesting, visually compelling, and technically challenging, but they are largely the creations of everyday people who may have left no other material evidence of their existence. Preserving this material is a profound responsibility. And that, in many ways, is the job of conservation. The finest and most famous documents, paintings and objects, particularly those connected with important historic figures, survive disproportionately. Even through the ravages of fires, floods, and wars, they were always valuable enough for someone to care. Working with them is an honor, but the challenge of preserving the material voice of everyman is somehow more satisfying. Lois Olcott Price is a conservator of paper and books, and the amazing images and information they make available to all mankind, but her heart truly belongs to architectural and design drawings, the subject of her book, Line, Shade and Shadow: The Fabrication and Preservation of Architectural Drawings. 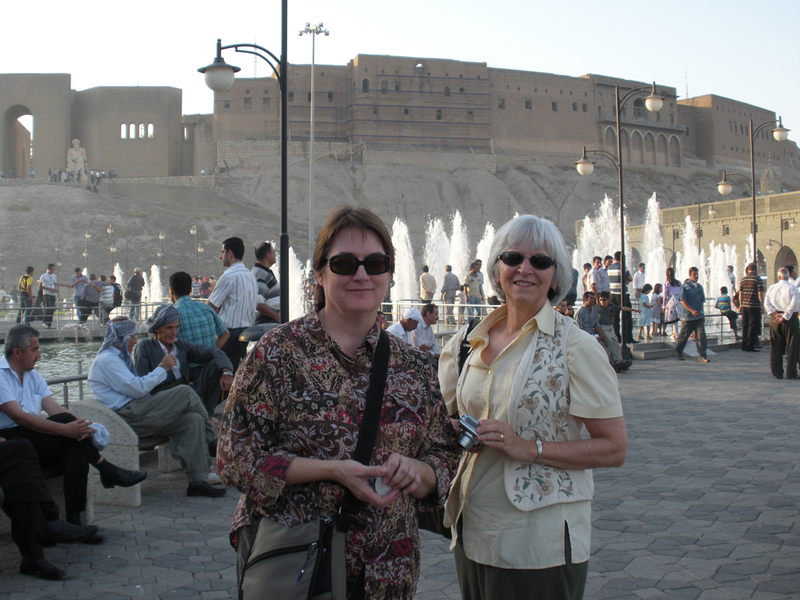 Beyond working with her wonderful staff and students, she is an active advocate for cultural heritage preservation locally and internationally and is currently engaged in a project to train Iraqi conservators. This entry was posted in Academic Programs, American Culture Studies, Art Conservation, Prints, Photos & Drawings, Uncategorized and tagged art conservation, Declaration of Independence, H. F. du Pont, treaty of paris, Winterthur, Winterthur Garden, Winterthur Museum. Bookmark the permalink.